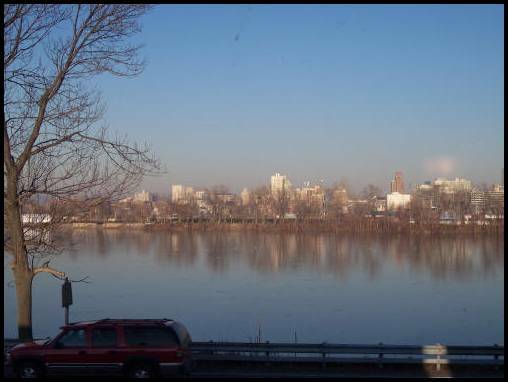 Harrisburg as seen from the West Shore - Did St. Isaac Jogues gaze on these shores? South Central Pennsylvania has seen a number of great Catholic saints pass through its environs. St. John Neumann and St. Elizabeth Ann Seton are two of the more well known. Did you know that St. Isaac Jogues, one of the heroic North American martyrs, also passed through what is now Pennsylvania? Fr.Francis Talbot S.J. wrote the book "Saint Among Savages" in 1935. In the book Fr.Talbot relates that in the summer of 1643 St. Isaac accompanied a band of Mohawk warriors on a trip down the Susquehanna River into what is now Pennsylvania. Fr. Talbot states that given the time frame the group traveled it is entirely possible they penetrated as far south as what is now Harrisburg. St. Isaac may have been able to administer the Sacrament of Baptism in South Central Pennsylvania over 350 years ago! When St. Isaac offered Mass he did so in Latin according to the Missal of St. Pius V. It is that same Mass which St. Elizabeth Ann Seton attended in the 18th century and St. John Neumann in the 19th century, and St. Katherine Drexel in the 20th. 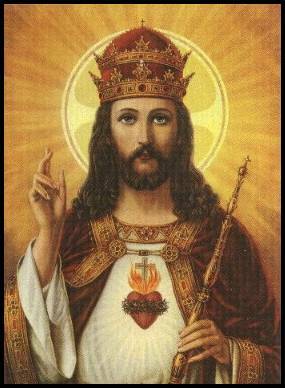 In this, the 21st century, the Catholics of SS. Peter and Paul Mission assist at the same timeless Mass of the Ages. In fact all of the sacraments, teachings and ecclesiastical Traditions of the Holy Roman Catholic Church are preserved in their entirety at SS. Peter and Paul. Surely St. Isaac must look down with favor from heaven as the seeds of Faith he planted continue to bear fruit. These are exciting times at SS. Peter and Paul Mission as we grow and build. Join us to learn more about the Catholic history of America. Join us to learn more about the history of the Church. Most importantly, join us to learn more about the future and the vital role Our Lord Jesus Christ, His Blessed Mother and the Holy Catholic Church will play in it! What's so Great about South Central Pennsylvania? 1. Close to all the attractions of big cities. The city of Baltimore is less than one hour drive south of York on Interstate 83. Philadelphia is only two hours drive east of Harrisburg on the Pennsylvania Turnpike. This gives access to major universities, museums, professional sports teams and other offerings of the major east coast cities. There are Amtrak stations in Harrisburg and Lancaster for access to all east coast cities and points west. The Harrisburg International Airport has flights to many major U. S. airports and the Philadelphia, Baltimore/Washington and Dulles International Airports are less than two hour drives away. 2. But not too close! The Central Pennsylvania area is close to major population centers in the Northeast corridor but is not itself overcrowded. The area contains the cities of Harrisburg, York, Lancaster and Lebanon, all under 100,000 population. But most of the area is suburban or rural/farmland. The pollution, high crime rates and traffic gridlock of the major cities has not yet reached our area. 3. Reasonable housing costs. The cost of housing in Central Pennsylvania is very reasonable, especially when compared to the cost of housing in the major metropolitan areas around Washington, New York and Boston. Many nice four bedroom homes in suburban and rural areas are available for less than $200,000, something you are unlikely to find in more crowded areas. And that is only to speak of the upper end of the price scale, there are also plenty of three and four bedroom homes available in desirable areas for under $150,000. There are also many smaller homes and homes in the cities and larger towns for under $100,000. A quick check of the website of the National Association of Realtors for York, Adams, Cumberland and Dauphin counties will reveal how truly affordable housing is in the area. 4. Proximity to Historical, Recreational and Cultural attractions. The world famous Gettysburg National Military Park is only 30 miles west of York on U.S. Route 30. The nationally recognized Hershey Park amusement park is just a few miles east of Harrisburg on State Route 322. The renowned Pennsylvania Dutch country with its Amish farms, shops, restaurants and attractions is less than twenty miles east of York on U.S. Route 30. The Michaux and Caledonia State forests are within one hour's drive of York and Harrisburg and offer hunting, camping, hiking and all outdoor activities. Multiple State and County parks in the area offer fishing and picnicking opportunities. The Harrisburg Symphony offers a regular schedule of classical concerts. The State Museum, State Archives and State Library offer an abundance of research and learning opportunities. Central Pennsylvania clearly has something for everyone! 5. The Roman Catholic Faith in all its glory! The best thing about Central Pennsylvania now that SS. Peter and Paul Mission is growing is the availability of the Traditional Latin Mass. But SS. Peter and Paul is not just about the Mass. SS. Peter and Paul strives to carry out an active apostolate. All of the Sacraments, teachings and ecclesiastical Traditions of the Church are preserved here. Yes, there are older members who recall being raised on the old Mass and solid catechism, but there are also many young families seeking to raise a whole new generation in the old Faith. If you are looking for someplace to live the Faith in all its fullness, SS. Peter and Paul is the place to come. 1. The Commonwealth of Pennsylvania is one of the largest employers in Pennsylvania and regularly has openings for many types of jobs. With the state capital of Harrisburg being less than twenty miles north of York along Interstate 83, state government is a natural place to consider working. Non-Civil Service jobs are filled by the Bureau of State Employment and Civil Service jobs are filled by the State Civil Service Commission. A wide variety of jobs are available, from entry level clerical positions requiring only a high school diploma to more skilled positions such as accountants, information technology professionals and engineers. The Commonwealth of Pennsylvania offers a benefits package containing medical, dental and vision coverage for the employee and family and a generous leave and retirement package. Complete information on the types of jobs available and instructions on how to apply are available at the Pennsylvania Civil Service web page. 2. The Federal government is also a major employer in the area. The Defense Distribution Region East supply facility in New Cumberland and the Naval Supply Depot in Mechanicsburg are two of the largest federal facilities in the area and together employ thousands of Pennsylvanians. Information on openings at both facilities can be found at the Federal Jobs webpage. 3. Of course there are also many private employers in the area and many opportunities for small business owners to get established and prosper. Some of the largest private employers are Highmark Blue Shield and EDS in Camp Hill, Hershey Foods and Entertainment in Hershey and the Harley-Davidson factory in York. These are most trying times for the Church. The One, True Faith is widely hated. The Traditional Roman Rite of the Mass is widely hated. At times the hatred is most vehement in chancery offices. 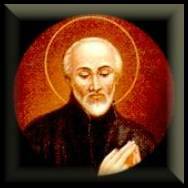 But let us recall again the life of St. Isaac Jogues. St. Isaac's social position would have allowed him to become a priest in a comfortable position in one of the cosmopolitan centers of France. But St. Isaac actively sought assignment to the dangerous mission fields of New France. He willingly journeyed across an ocean to bring the True Faith to those who hated it, who worshipped devils. St. Isaac went because he knew there were souls to be won and that there would be far more occasions for gaining merit on the mission field. So let us not pine for days of peace, let us rather thank God that he has blessed us to live in these times when there are so many opportunities for an active apostolate. If you want to live the Faith as St. Isaac Jogues knew it and be an apostle of the One, True Faith to this benighted land as he was...Come join the members of SS. Peter and Paul Roman Catholic Mission!